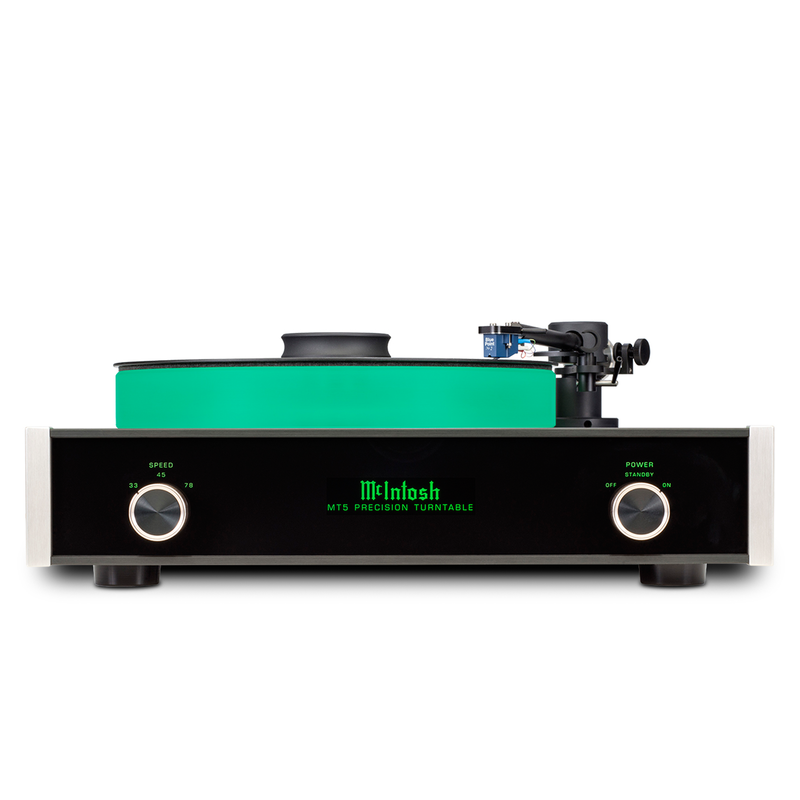 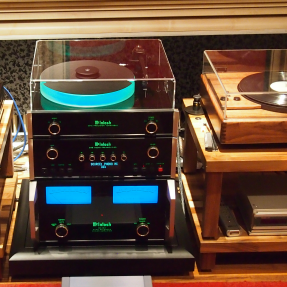 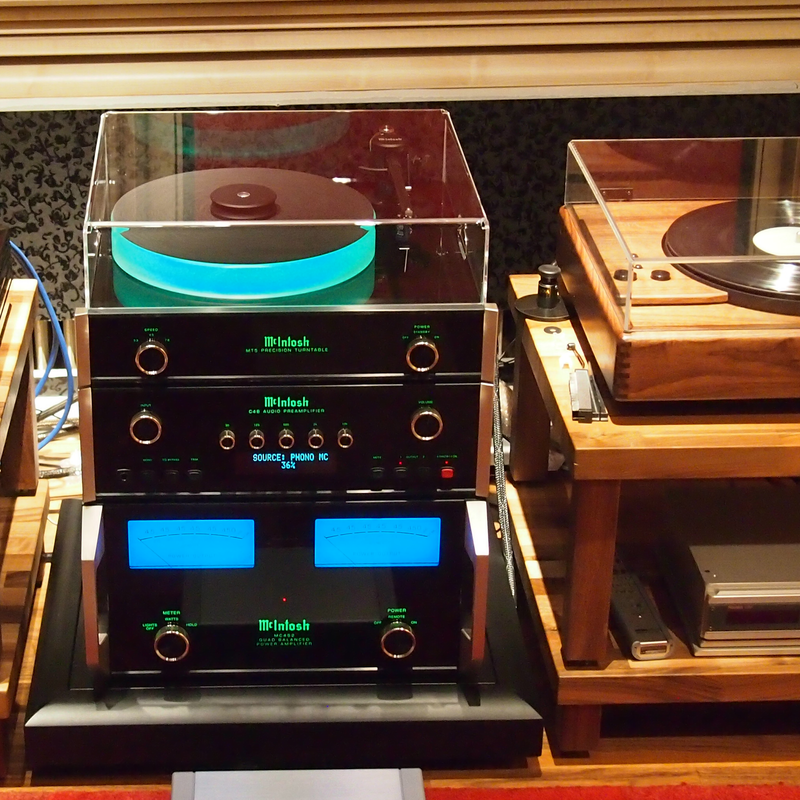 McIntosh Laboratory has launched their new MT5 turntable. Crafted using the knowledge gained from the MT5+Low+Anglecompany’s flagship MT10 turntable, the new MT5 sets out to offer an alternative vinyl playback system at a significantly lower price to the MT10. 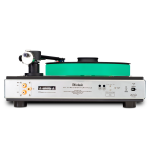 The new MT5 is supplied factory-adjusted: tracking force, anti-skate, cartridge overhang and arm height are all preset so set up should be a doddle. 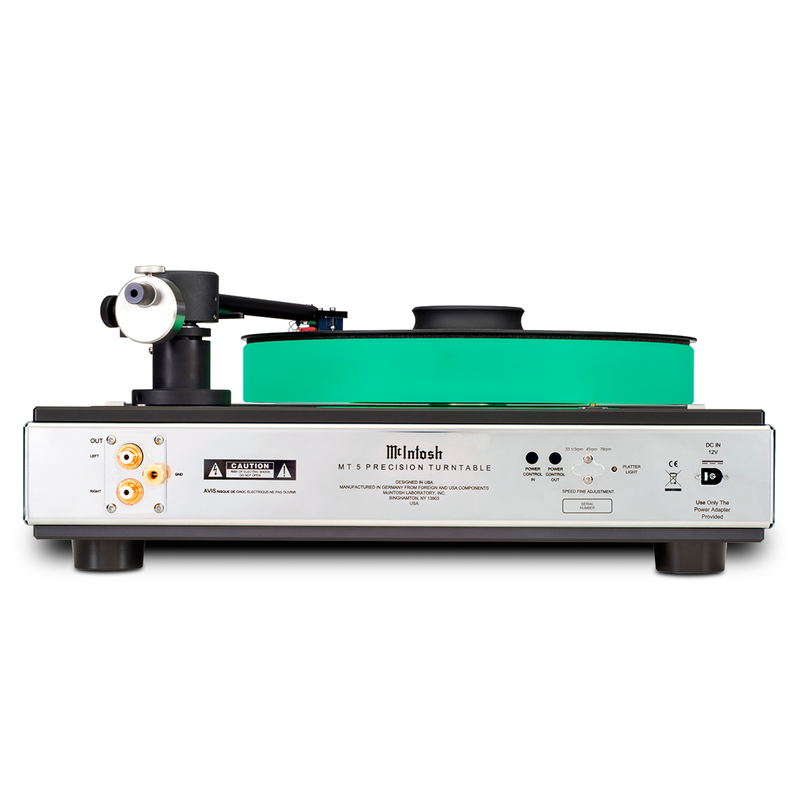 The MT5 comes complete with a high-mass platter and motor drive assembly, tonearm, and a high-output Sumiko Blue Point 2 (BP2) moving coil cartridge, which is also compatible with moving magnet inputs. 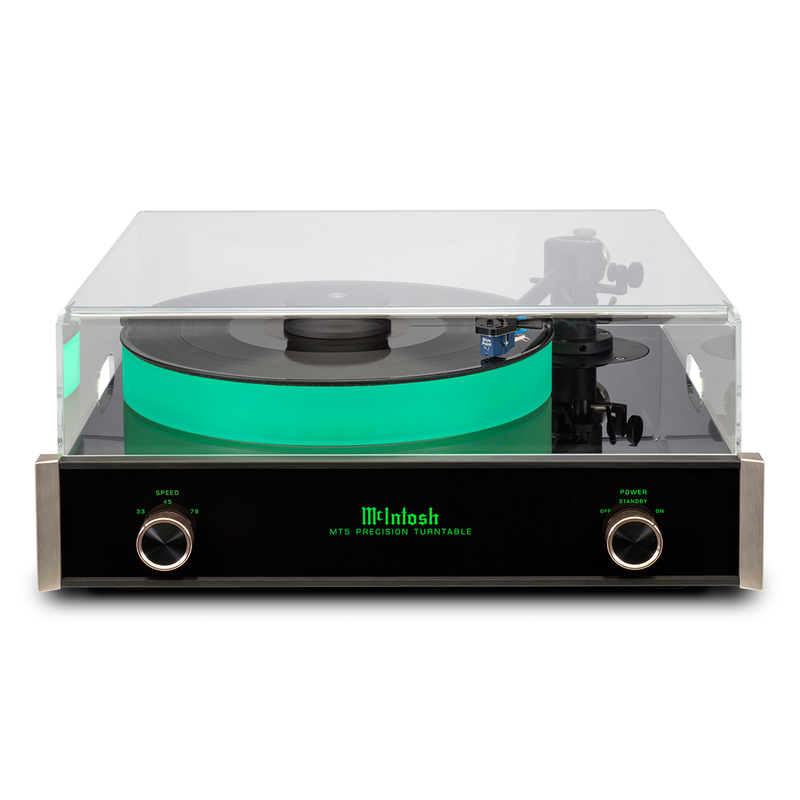 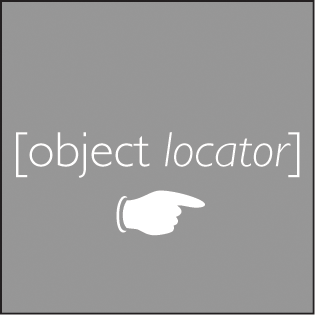 The MT5 features a magnetically suspended silicone-acrylic platter, supported by a precise belt-drive motor. 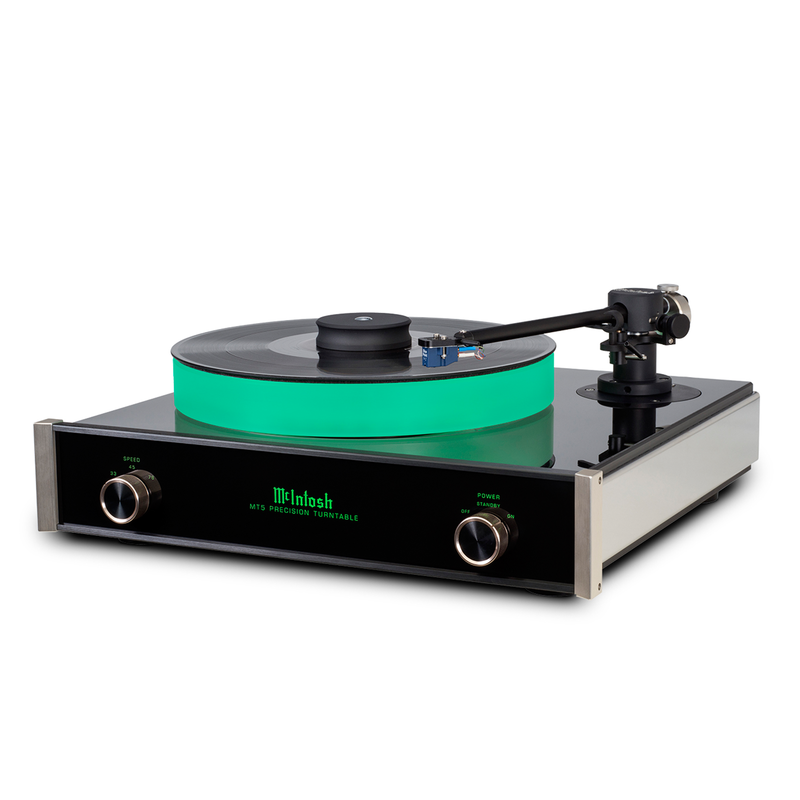 Gracing the MT5 is a highly rigid, custom-designed Dural-Aluminium tone arm which McIntosh say “tracks vinyl with minimum friction using magnetic anti-skate and horizontal tone arm bearings”. The three playback speeds include 33 rpm, 45 rpm and 78 rpm, all with a separate trim adjustment.